Do you know what is NCD? NCD is No Claim Discount and this is the thing that every people should know when buying car. If you are buying car for the first time or become the first time policyholder, then you will not have NCD for the first year on the road. This No Claim Discount (NCD) is only given to the policy holders upon they renew their motor insurance if no claim was made against your policy within 12 months coverage. Let say if you free from any claim within the year, then you will be rewarded with a 25% NCD discount of your renewal premium next year. Else, your NCD for your car will be forfeited and falls back to 0%. In the other words, once you have claimed on the motor insurance then your NCD is gone. For those existing car driver who is planning to change their car then they can transfer their current NCD to new car’s insurance, even if switch to another insurance company. However, the NCD is not transferable to another person. Let say you have 55% NCD for your existing car but you sold it and didn’t buy another car within 2 years then your 55% NCD will go down 2 levels become 38.33%. Great Eastern is Singapore’s leading life insurance group and most of the Asian prefer it rather than Prudential. I get most of the Insurance information from my Prudential agent who is also my good friend and also the Great Eastern agent previously…So, I can know the clearer picture between both. I got one crazy friend spend almost 70% of his income on buying insurance to protect himself. For me, no need do like that. What’s the point of living a long life if you cannot enjoy the joys of living? If one do not know how to give up smoking, no exercise and insufficient sleep, heavy drinks, and always take fatty food also useless. Am I right? Which Has Best Insurance Policy? Will Commit Suicide Covered In Insurance? Cover will vary from policy to policy. It mostly contains a suicide provision. If the holder commits suicide, within one year from the date of commencement of the policy, the policy shall be void and the premiums paid will be refunded. 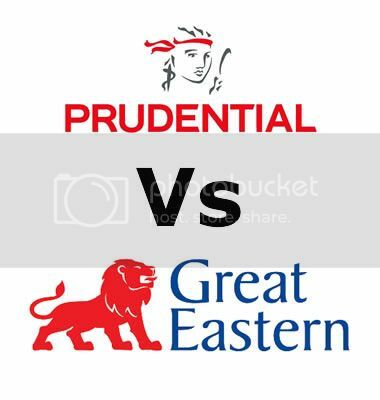 I will share the cash value comparison between Great Eastern and Prudential in the coming articles. Stay tuned !! !